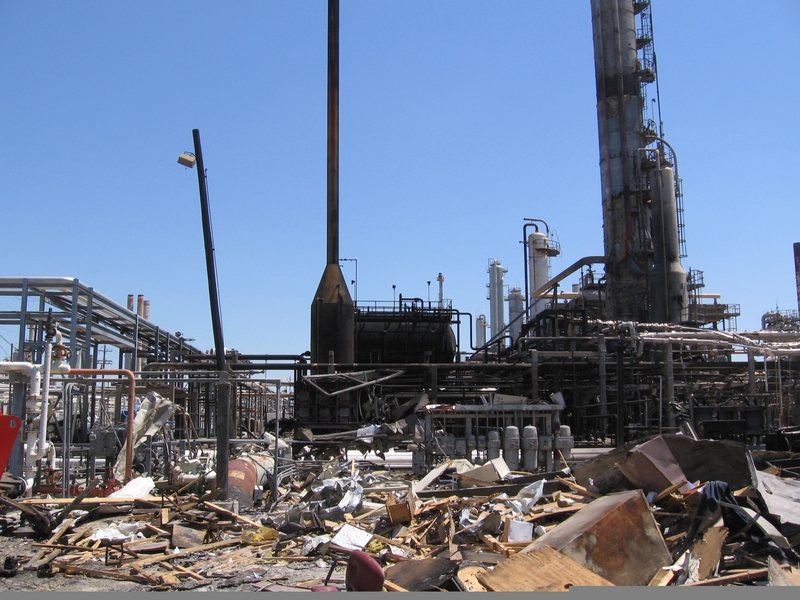 On March 23, 2005, an explosion occurred at the isomerization unit in the BP Refinery in Texas City, Texas. Fifteen people were killed and one hundred and seventy others were injured. We were asked to conduct an investigation of certain air emission regulatory issues related to the isomerization unit where the explosion occurred. As a result of that work, we compiled documentation that established that the process equipment that was the source of the explosion had been operated in violation of the applicable Texas Commission on Environmental Quality regulations for approximately thirty years. Our work culminated in court testimony in Galveston, Texas on June 16 and 17, 2008. Click here to view a report describing the air emission regulatory violations. Click here to view the U.S. Chemical Safety Board's BP Investigation Animation Video that depicts the events leading up to the accident. Click here to view a portion of the court testimony on June 16 and 17, 2008 - BP's False Representation. Click here to view a portion of the court testimony on June 16 and 17, 2008 - BP Misled TCEQ. Click here to view a portion of the court testimony on June 16 and 17, 2008 - Failure to Disclose the F20 Blowdown Drum. Click here to view a portion of the court testimony on June 16 and 17, 2008 - BP Misled Sam Crowther, TCEQ. Click here to view a portion of the court testimony on June 16 and 17, 2008 - Criticism Versus Evaluations. Click here to view a portion of the court testimony on June 16 and 17, 2008 - Things Missing on the Model. Click here to view a portion of the court testimony on June 16 and 17, 2008 - BP's Attorneys Inability to Alter Jim Tarr's Opinion. Click here to view a portion of the court testimony on June 16 and 17, 2008 - Tarr's Assignment.